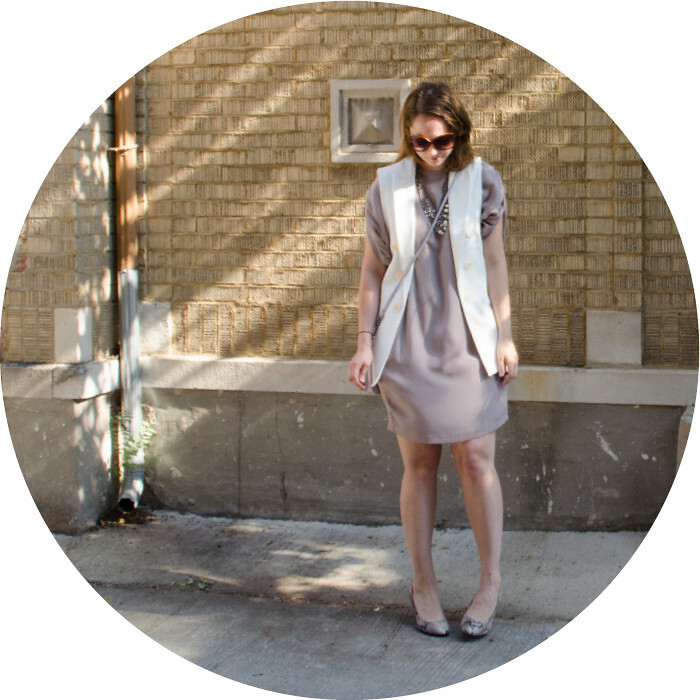 creative: this dress is kinda shapeless and this vest can look super 80s-tastic, but the two paired together are perfect for a hot summer workday. young: a bunch of necklaces, a quilted bag that looks like it was gift from the easter bunny, giant sunnies. professional: snakeskin pumps! they're the perfect height for being comfy all day and a bit more fun that solid color shoes. find all sorts of other posts like this one over here.